Suffering is a teacher, and writing is a way of taking lessons from it. 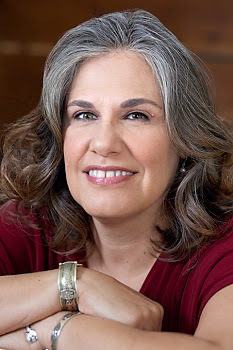 Jessica Handler’s book Braving the Fire is an excellent guide to this aspect of writing craft. …Perhaps you want to write about the ways that grief came into your life and what has happened in its aftermath, or you want to commemorate a loved one or way of life that’s gone. After you’ve survived the death of a loved one, an illness, a broken romance, the loss of a home, country, or even a social structure, the story of who you are changes. I like that Handler recognizes loss comes in many forms; not just loss of people (loved ones, or previous versions of ourselves), but also loss of places and cultures. This book has relevancy for anyone who has moved beyond the place or circumstances of our birth. “Simply tell your story, and you begin to build a bridge that connects who you were with who you have become,” Handler counsels in her introduction, and then goes on to structure an excellent curriculum around the five stages of grief first identified by Elisabeth Kübler-Ross in the early 1970s. Handler adds to Denial, Anger, Bargaining, Depression, and Acceptance a sixth stage—Renewal. “Renewal is…a stage that’s purely about what happens to the grieving writer as she crafts and finishes her true story,” Handler writes. On the other hand, Handler recognized that many people will not read this book front cover to last page, in that order. Just as grief processes don’t run straight down the tracks of Kübler-Ross’ stages, writers of grief stories need the flexibility to create their own sequence. And thus, the repeated introductions, for people just arriving at the cocktail party, whatever the page. 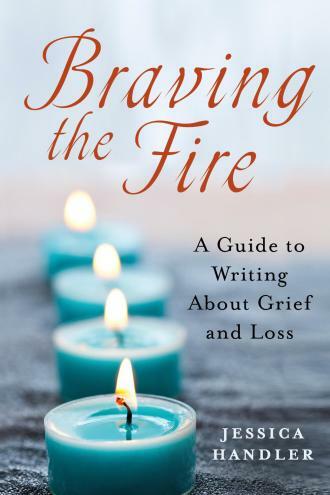 Braving the Fire knits together well its several elements—teaching points, tips and end-of-chapter “next steps,” and personal observations from Handler’s own experience as a writer of grief, chronicled in her first book, Invisible Sisters. She faces head-on the difficulty of writing from grief without becoming lost in it. “Grief is a fire that’s burned you once, maybe even more than once. In order to write about it, though, you have to hold your hand over that fire again,” she writes, and she had me from the moment I absorbed that beautiful, true, metaphor. She has excellent advice on how to care for yourself while playing with fire. Handler is a compassionate guide. She shares her own struggles and process and, even while creating a masterful blend, convinces us that ordinary people, too, can write transformative stories that make meaning from our losses. This entry was posted in Book review and tagged Braving the Fire, Jessica Handler. Bookmark the permalink. Last year when I was on a journey with cancer treatment I was gifted with a number of books about cancer and surviving it. I didn’t read most of them. For one thing, I had the attention span of a gnat because of the pain killers but also because when I did read I wanted something light and happy. I didn’t need other people’s pain and complications on top of my own. 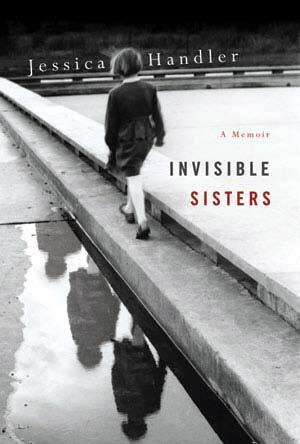 I remember one book was soooo filled with the author’s grief and pain about her own illnesses that I put it down like a hot potato. I started writing instead. What started as a “what’s happening to me now” sort of email update to my friends became a private blog recording not only what was happening but also my thoughts, feelings, and observations – including observations of how truly beautiful life is. Writing about my experience became an integral part of my “recovery or healing” process. I am looking forward to reading Jessica’s book as I slowly turn what I wrote for friends into a more permanent form, perhaps to share with others.